"Here faith, the beautiful light of faith appears. It alone should light my way as I go to meet the Bridegroom. The psalmist sings that He hides Himself in darkness,' then in another place he seems to contradict himself by saying that 'light surrounds Him like a cloak.' What stands out for me in this apparent contradiction is that I must immerse myself in 'the sacred darkness' by putting all my powers in darkness and emptiness; then I will meet my Master, and 'the light that surrounds Him like a cloak' will envelop me also, for He wants His bride to be luminous with His light, His light alone, 'which is the glory of God.'" - Bl. Elisabeth of the Trinity, Last Retreat, 4th Day, from Complete Works of Elizabeth of the Trinity, Vol. I, ICS Publications. 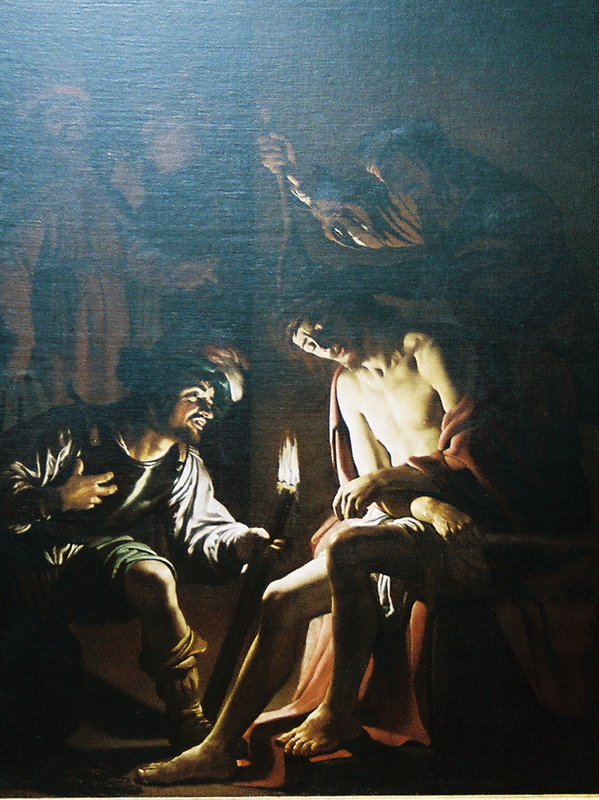 Picture: "Christ Crowned with Thorns" by Garrit van Honthorst, Dutch, about 1620, my photo. Museum information.